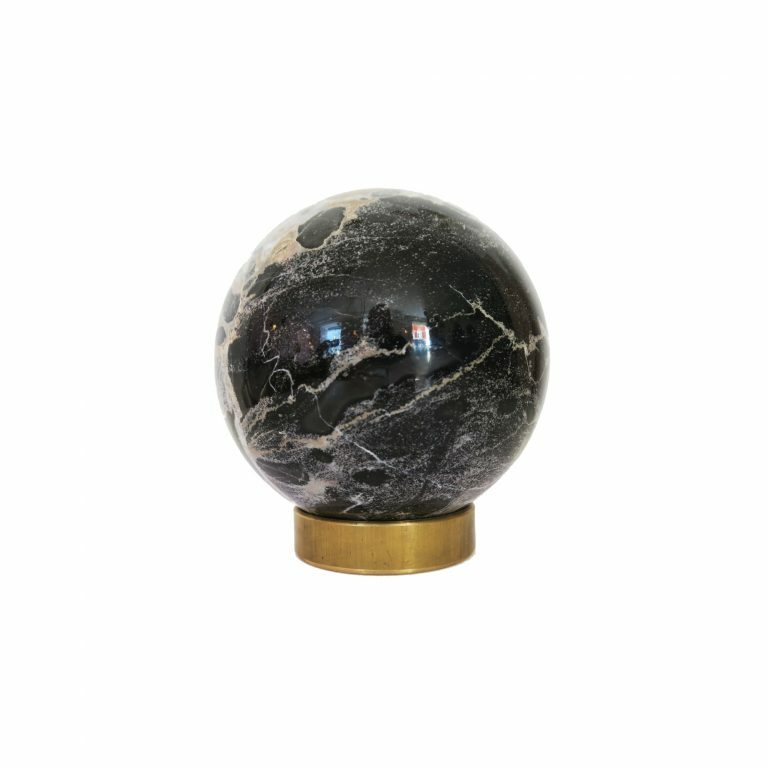 Marbles are a collection of beautiful colored spheres and occurs in a variety of different colors. 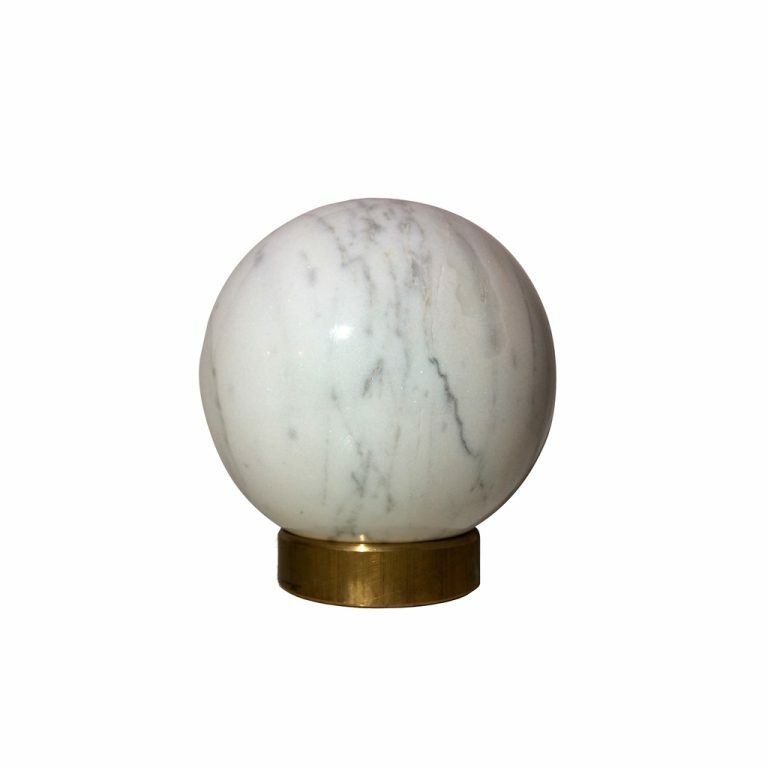 Every marble has their own unique pattern and is available in the color white, dark green, pink, light onyx and rose. Marbles are a recurring motif in Kaja Skytte’s designs and can be find in both Galaxy Globes, the collection of elegant mobiles and Orbit, the collection of sculptural mobiles. 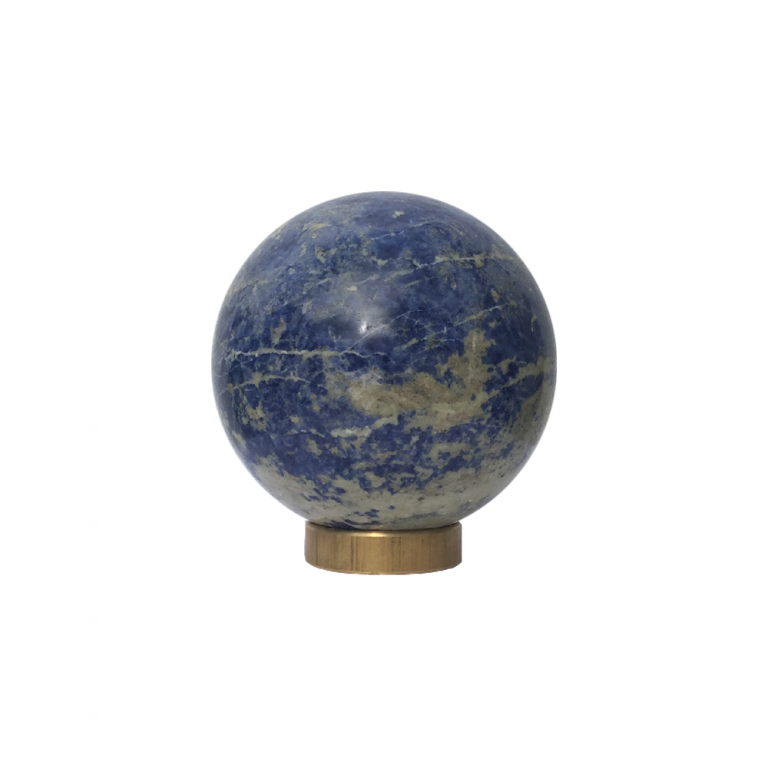 Both inspired by the universe. 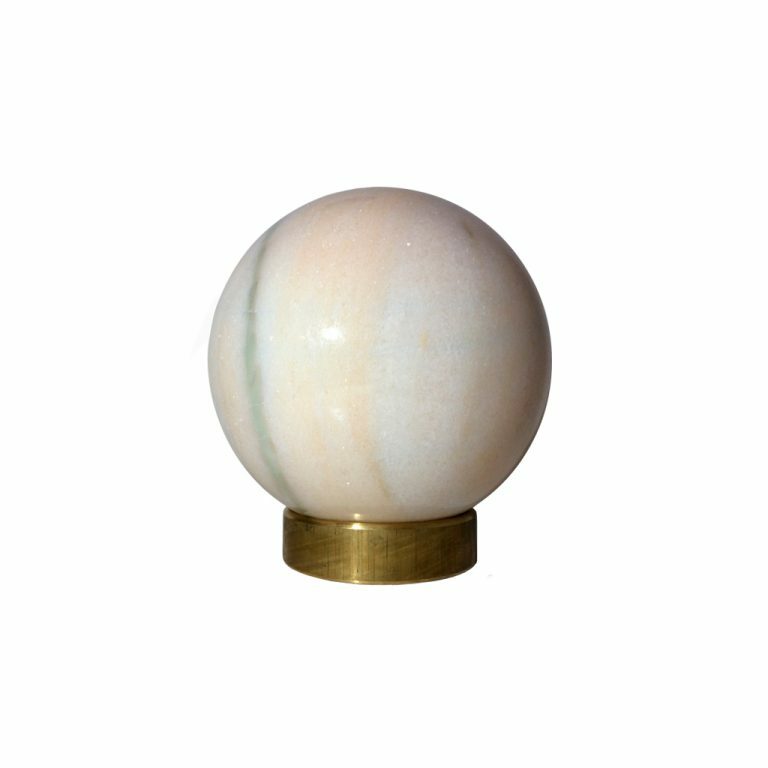 This product is only available in one size and has a diameter of 15 cm and a weight of 4,5 kg. 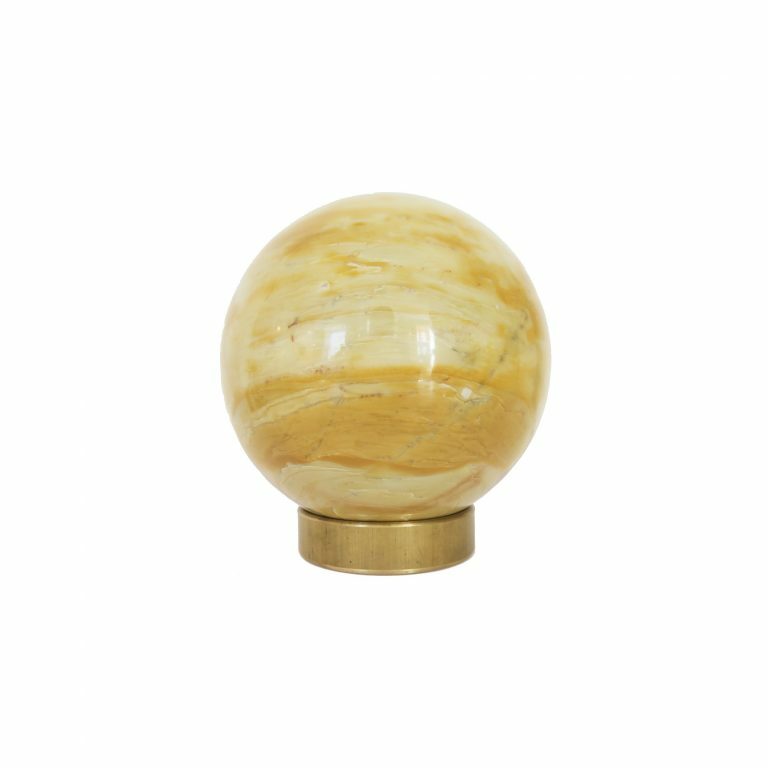 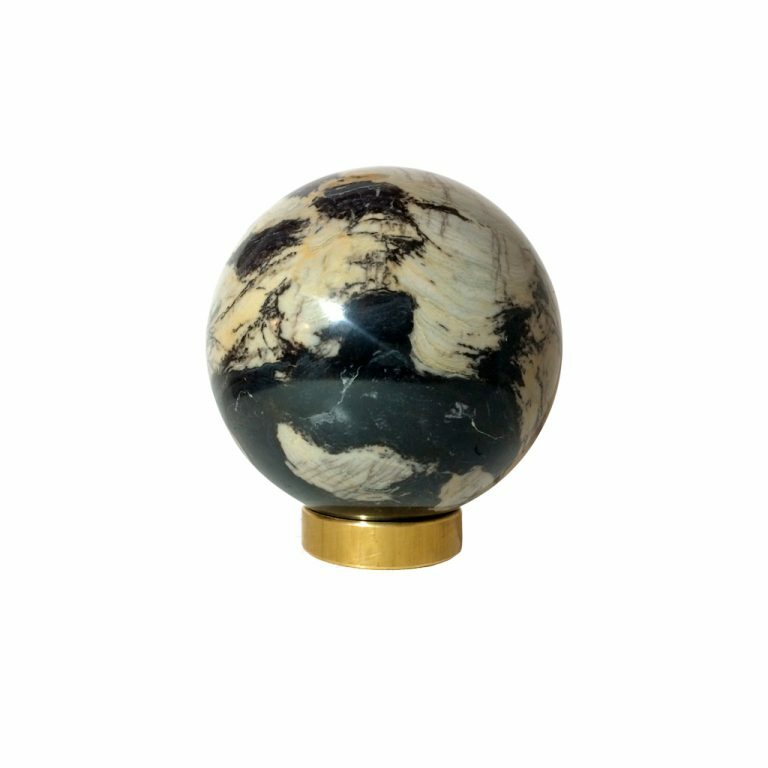 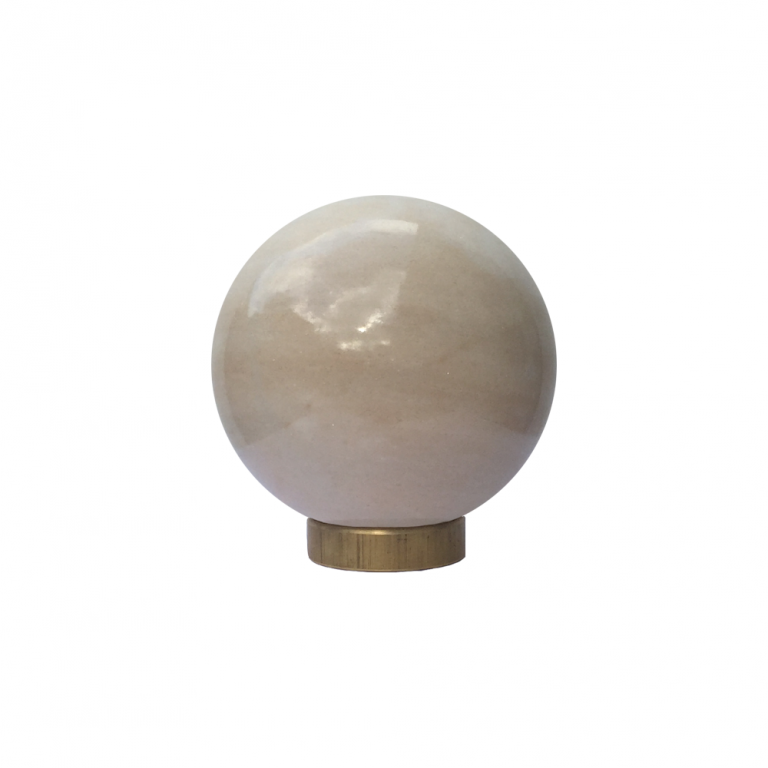 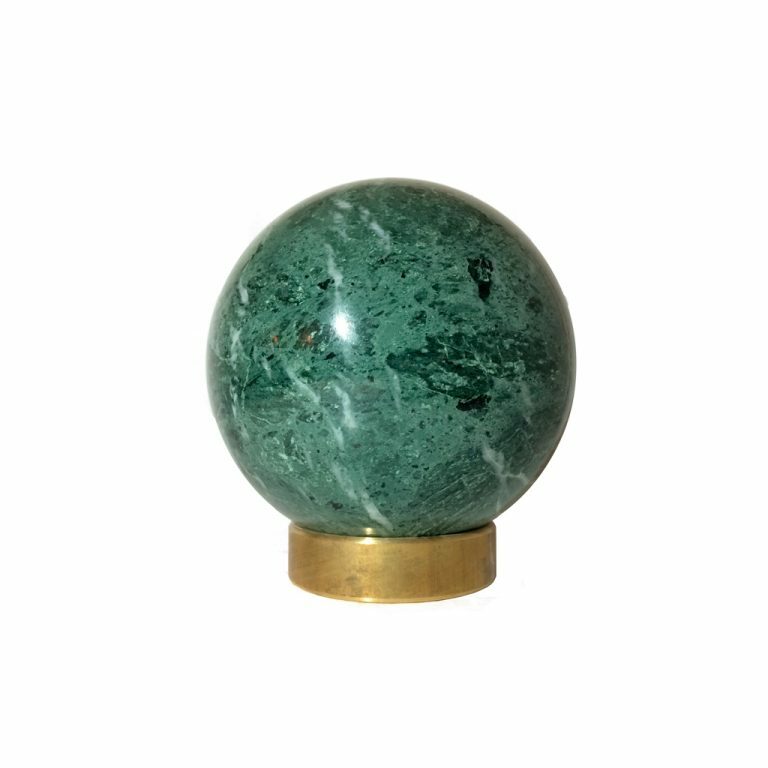 It will be received with a little ring made out of brass, which will make it possible for you to place the marble wherever you like. 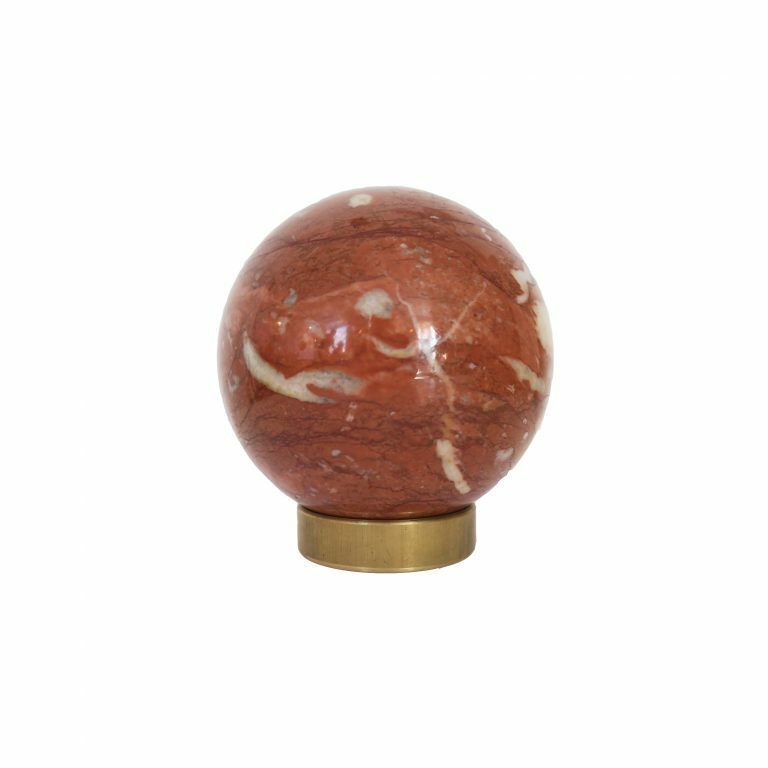 Because each marble is unique we only have one available of each color. 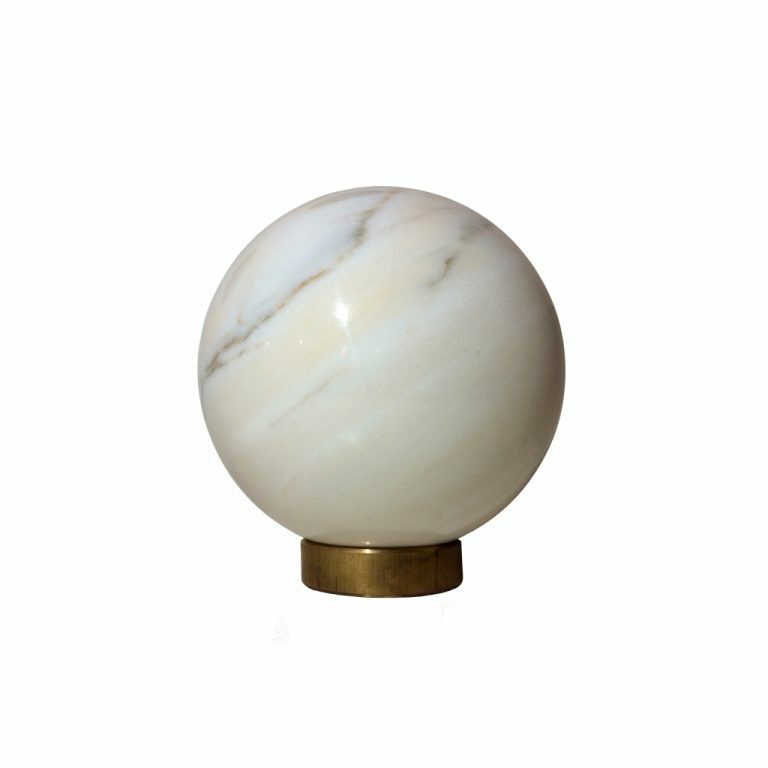 So hurry up if you want one of these beautiful sculptural marbles and add a twist to your home and interior decoration.